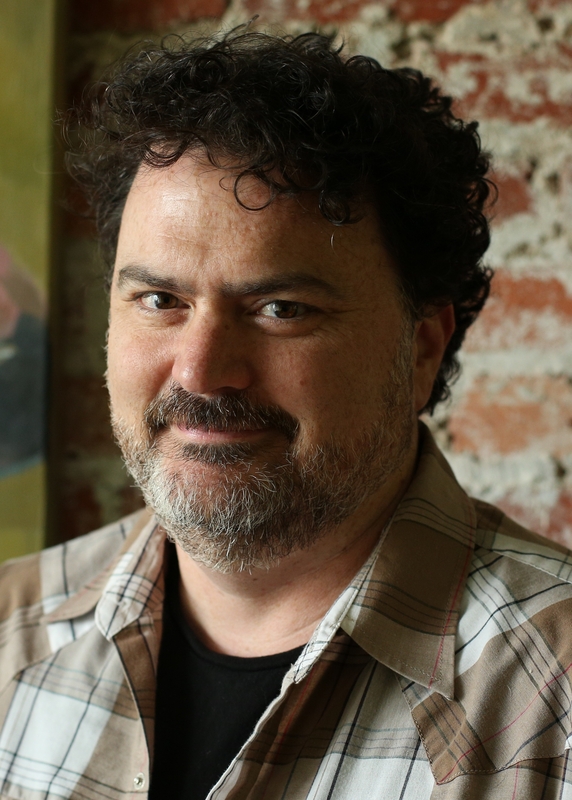 It was no surprise when BAFTA announced Tim Schafer would win this year's prestigious Fellowship Award. For close to 30 years, the long-running games director has taken the helm on countless classic titles fondly remembered the world over: Psychonauts, Grim Fandango, Brutal Legend, Full Throttle, Day of the Tentacle and, of course, The Secret of Monkey Island. 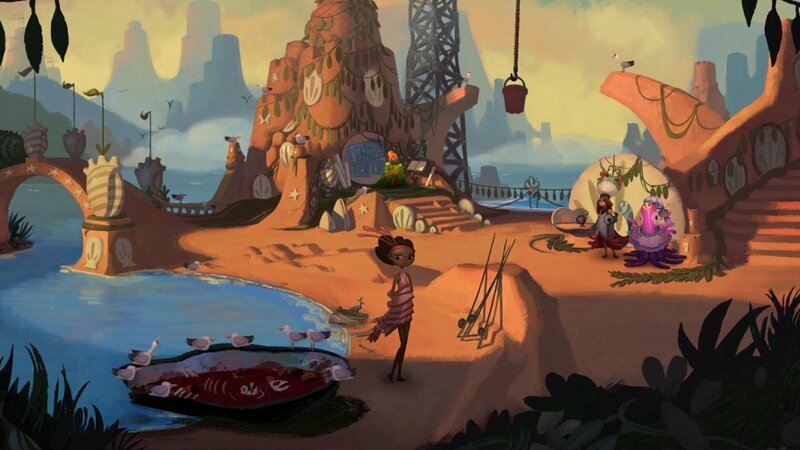 Even in recent years, his impact on the games industry has been noticeable thanks to Broken Age, the Kickstarter-funded adventure title that unleashed a wave of crowdfunding video games and hopes are high for the upcoming Psychonauts 2. Looking back on his portfolio, it's easy to see why he has been added to the ranks of Fellowship winners, alongside Shigeru Miyamoto, Gabe Newell, Peter Molyneux, Nolan Bushnell and more. Although not in name, the Fellowship is viewed by many as a 'lifetime achievement' award - does that mean it's time for Schafer to think about retirement? "I see it more as a challenge," he laughs, speaking to GamesIndustry.biz at EGX Rezzed. "This sort of award feels like something you get when you're done, but I still feel like I'm working towards figuring out how to make games. Slowly, over time. I don't think I've made my best game yet, and I feel like that's something I want to work towards. "I don't know what it is yet. I've always wanted to try new things with experimental stuff. I'm trying to structure things at [Double Fine] where I have time to mess about on my own with prototypes. Because most of my days are spent writing Psychonauts 2 or creative directing and helping with someone else's project. But I still like to set aside a little R&D time, just trying new ideas." In his winner's speech at the BAFTA Awards ceremony, the veteran developer thanked all the people that have supported him throughout his career and urged newer, younger developers to try their own experiments. "We don't just want people to come [into the industry] and do what we're already doing," he said on the night. "We want them to bring new voices, new perspectives and come to shake things up and to come from groups that have not been represented in games so far, to tell new stories and really throw a big, creative monkey wrench into the works. "Don't try to fit in. Smash it to pieces with your own creative inspirational game that no one else can make but you. That's what I want to encourage people to do, and that goes for the old members too." His call for new voices from underrepresented groups echoed the industry tributes that were shown before Schafer took the stage, many of whom dubbed him a champion of diversity. To have such a figurehead push this ongoing industry conversation is welcome, for sure, but there will no doubt be some people out there who question whether a 50-year-old white male can contribute meaningfully to it. "There's a bunch of work to do to make things more diverse, and you can't put that shoulder on the group that's been marginalised and not represented"
"It might seem that way - why is a white guy talking about diversity?" he tells us. "But I think that's exactly who needs to talk about it. There's a bunch of work to do to make things more diverse, and you can't put that on the shoulder of the group that's been marginalised and not represented. It's exactly the people who have been privileged and fortunate that have to do the work of saying, 'hey, we need to do better'. Because it's wrong not to." He once again reiterates that his 'smash it to pieces' advice is a call for everyone in development, and harks back to how he felt at the early stages of his career. The games industry is well established - even more so than when Schafer first started - with seemingly untouchable companies and dominating genres, franchises and tropes. Making yourself heard over the noise is daunting, to say the least, but Schafer says it's important to keep trying. "I remember what it feels like... and I still feel like this sometimes," he says. "It feels strange when you see what games are popular and you're like 'that's not the type of game I want to play. Am I wrong? Am I crazy that I like this other sort of thing that doesn't even exist yet?' It's tempting to just censor that part of yourself and try to fit in to what already exists. I understand that, but it's not what the industry needs. The industry needs people to bring their uniqueness to it. "Look at something like Minecraft. No one asked for that exact type of game, that wasn't something anyone predicted, but it surprised everyone and that happens again and again. The best hit games are the ones that surprise people and really innovate." "This sort of award feels like something you get when you're done, but I still feel like I'm working towards figuring out how to make games. Slowly, over time. I don't think I've made my best game yet"
Even so, it must be discouraging for new developers to try something new. Yes, the opportunities for indies are more abundant than ever, but the most popular games still seem to be built on the same decades-old formulas. Even Nier director Yoko Taro recently told us 3D action games haven't changed since 1998's Ocarina of Time or the original Devil May Cry. Schafer notes that while the majority of innovations might seem to be coming from the "big boom of indies games", much of that is actually "feeding back into AAA games, who are building on things that are more experimental or really interesting." He adds: "There are still things that are really interesting, like the Nemesis system in Shadow of Mordor, and there are other things [in AAA] that I feel like I haven't done before, or mechanics I haven't seen before. So I still think there's plenty of innovation in AAA games - it's just that it's still being led by the indie games. Because when you're spending hundreds of millions of dollars, people get more risk averse. But they know they still have to stand out." Herein lies the rub: Since the market for smaller developers is increasingly competitive, it's understandable that some will choose to build on what's already selling. Schafer's advice is inspirational enough, but ultimately it's a risk to bring something unique to the table if there's no way of telling whether it will pay. "And that's an important side of it," Schafer acknowledges. "I'm encouraging people to bring their personal uniqueness to games, but I'm not guaranteeing that it's going to make them a lot of money. First-time indies need to moderate their expectations. "A lot of people saw what happened with World of Goo, Braid and games like them, games that came from these new studios and became huge hits. Everyone thought they could replicate that easily with their indie games, but there are a lot of great indie games coming out today that no one sees or hears about because there are so many of them. That might happen, but a lot of the best ones just take time to find their audience and bubble up. "You see a lot of sad post-mortems for indie games where a week after the game comes out, they're like 'oh, sales weren't what we thought' - but it's a much longer game than that, a much longer haul"
"Maybe the year after they ship is when they make the most money. Maybe their first Humble Bundle or first Steam Sale, there will be something that makes the money later. You see a lot of sad post-mortems for indie games where a week after the game comes out, they're like 'oh, sales weren't what we thought' - but it's a much longer game than that, a much longer haul. You've got to think about your whole first year of shipping, how much the price is going to be, and all these questions that generate revenue for you over the years. Then you make another game, and eventually you have this big back catalogue of games that are making it possible for you to sustain a career. It's not about counting on some big hit game." It's something the market has seen with Nintendo Switch. Indies have been porting their back catalogue titles to the platform, and some are selling better than they did when they first came out. Schafer points to his own studio, Double Fine, as a further example, saying the company survives on "a sustainable level of sales" for its games. The back catalogue of titles continues to sell at a steady pace, to the point where it has enabled Double Fine to do a combination of things - not only publishing its own games, but partnering with other firms (such as Starbreeze, which will publish Psychonauts 2) and even bringing other developers' games to market. "There were so many points where my career could have ended, but someone came along and gave me a hand. I've been so lucky, and it's natural to want to keep that rolling and pay that forward"
The latter part is something particularly close to the veteran developer's heart, sharing his own experience (and that of his team) with newer creators. For Schafer, it brings the industry full circle as he reflects on the advice and support he received when first starting out. "When I was giving my acceptance speech, I was thinking about who I wanted to thank and I realised just how many people helped me throughout my career," he says. "There were so many points where my career could have ended, but someone came along and gave me a hand up or an opportunity. I've been so lucky and fortunate in that way, and it's natural to want to keep that rolling and pay that forward." Naturally, much of the advice Schafer has been asked for involves crowdfunding - thanks to the trendsetting success of the Broken Age Kickstarter - but he's also been approached with queries on publishing, marketing and more. The advice he and his colleagues were dishing out ultimately became formalised in the form of Double Fine Presents, the company's publishing label. Double Fine Presents is largely handled by colleague and Broken Age producer Greg Rice, although Schafer likes to help where he can. For the most part, he reiterates, his days are spent writing Psychonauts 2 as well as experimenting with other projects. While he may have a BAFTA Fellowship (and countless other awards) under his belt, the Double Fine boss is determined to keep learning. "It's about working on your skills," he says. "We spend a lot of time early in our career learning to do stuff, and then we just do it. I think you need to still focus on learning things you don't know how to do, and developing your skills and craft - whether that's becoming a better writer or become better at developing things. "I really just try to focus on that, on bettering myself and learning to make games I don't know how to make yet. That way, hopefully, some day I'll make something better than anything I've done."